Dr. David Cummins is a specialist in Medical Orthopaedics who brings to Cal Sports & Orthopaedics more than 20 years of experience in diagnosing and treating sports medicine injuries. Dr. Cummins grew up in Johnstown, PA and received his B.A. Degree from Johns Hopkins University and his Medical Degree from Stanford Medical School. He also did Postgraduate work at Biochemisches Institute of the University of Zurich, Switzerland and further training at Barnes Hospital of Washington University in St. Louis. Dr. Cummins was the General Medical Officer, assigned by the US Public Health Service at the 12th Coast Guard District. 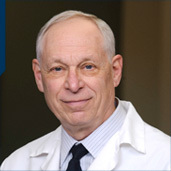 In 1972 he joined Kaiser Hayward as an Emergency Physician, and began his partnership in the Permanente Medical Group. Dr. Cummins also co-founded the Sports Medicine Clinic at Kaiser Hayward. In 1985 he left Emergency Medicine to work full time in the Orthopaedics Clinic. He retired from Kaiser Permanente in 1998. Since 1999 he has worked in Medical Orthopaedics for Berkeley Orthopaedic Medical Group and recently joined Cal Sports and Orthopaedics. He has lived in Kensington for over 30 years and enjoys time with his family and is an active biker. David Cummins MD is a great doctor to evaluate your condition, order studies such as x-rays or MRIs if needed and then discuss your surgical and nonsurgical options. He also refers patients to therapy or will give lubricant or cortisone injections if needed to get you back on your way. Dr. Cummins is now accepting new patients.